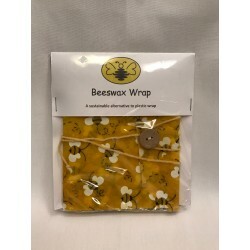 Black and White Bees Beeswax Wrap Beeswax wraps are a sustainable alternative to plastic wrap. 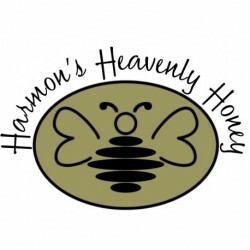 Each wrap is made using 100% cotton and coated with organic beeswax, jojoba oil, and tree resin. 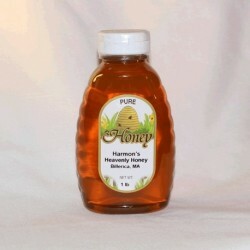 The beeswax and jojoba oil have antibacterial qualities that help to keep your food fresh while allowing you to use the wrap again and again. 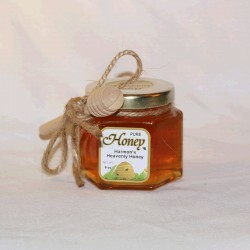 Kitchen Utensils Beeswax Wrap Beeswax wraps are a sustainable alternative to plastic wrap. Each wrap is made using 100% cotton and coated with organic beeswax, jojoba oil, and tree resin. 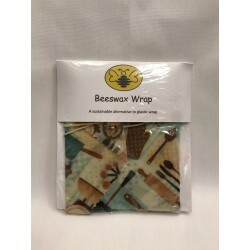 The beeswax and jojoba oil have antibacterial qualities that help to keep your food fresh while allowing you to use the wrap again and again.